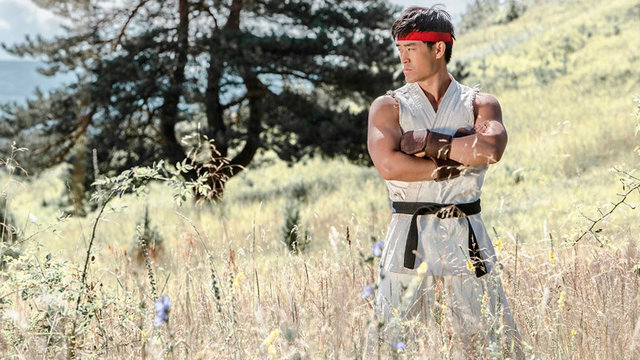 The production team behind the successful STREET FIGHTER: ASSASSIN’S FIST series has today announced plans for its sequel; STREET FIGHTER: WORLD WARRIOR. Joey Ansah (THE BOURNE ULTIMATUM and SNOW WHITE AND THE HUNTSMAN), director and writer of Assassin's Fist, together with cast members Mike Moh ('Ryu') and Gaku Space ('Goki'), took to the stage at the Capcom Street Fighter Panel at San Diego’s Comic Con to announce the latest instalment in the adaptation of the classic videogame franchise. The new series is currently in development, with a launch date set for late 2015 / early 2016. Producers Jacqueline Quella (ROMANZO CRIMINALE and DON’T TELL) and Mark Wooding (TOOLBOX MURDERS) together with Joey Ansah, and writer and series star Christian Howard, are responsible for the recent re-launch of STREET FIGHTER as a popular live-action franchise. STREET FIGHTER: ASSASSIN’S FIST debuted earlier this year on Machinima, the number-one global video entertainment network for young males, as a 12-part series. It has garnered in excess of 16 million views and has an unprecedented approval rating of 99.3%. Capcom’s wildly-successful STREET FIGHTER is one of the biggest fighting videogames, and has millions of fans and players worldwide. The announcement marks a return to Comic Con, the convention at which ASSASSIN’S FIST was announced in 2012. STREET FIGHTER: ASSASSIN’S FIST is being released internationally in autumn 2014 in DVD and Blu-ray formats, as well as on TV, video-on-demand and download-to-own. Distributed by Content Media Corporation, it was also announced at Comic Con that the DVD and Blu-ray versions of the series will include an exclusive, unreleased ‘Epilogue’ episode, as well as numerous extras; including behind-the-scenes material, deleted scenes and a Director’s commentary.